Drop Kick Books: Leeds Chirons - a unique club? This article appeared in the Yorkshire Evening Post in 1980. I used the picture in Leeds Who? but didn't include the article and the names of the players. 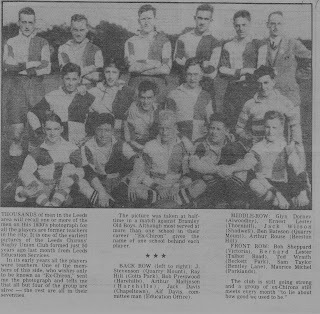 In many respects Leeds Chirons was a unique club in that all the players were teachers and many of them continued to play for Chirons right through the 1930s. I am sure there were some of the more senior Leeds clubs that would have been delighted to have players such as Bob Presswood and Arthur Mallinson in their ranks as both men had played for Yorkshire. 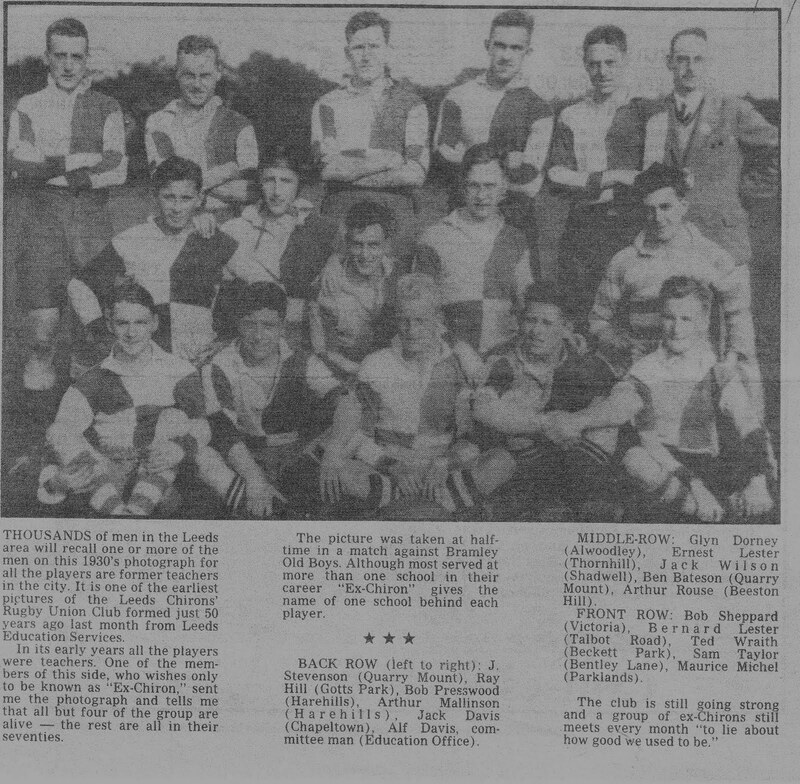 However, it is obvious that cameraderie, team spirit and friendship were the most important factors for the men in the photograph when they chose which Rugby club to play for.